Hi everyone I'm sharing a new card using some great stamps which will be available soon from the store to create my card. 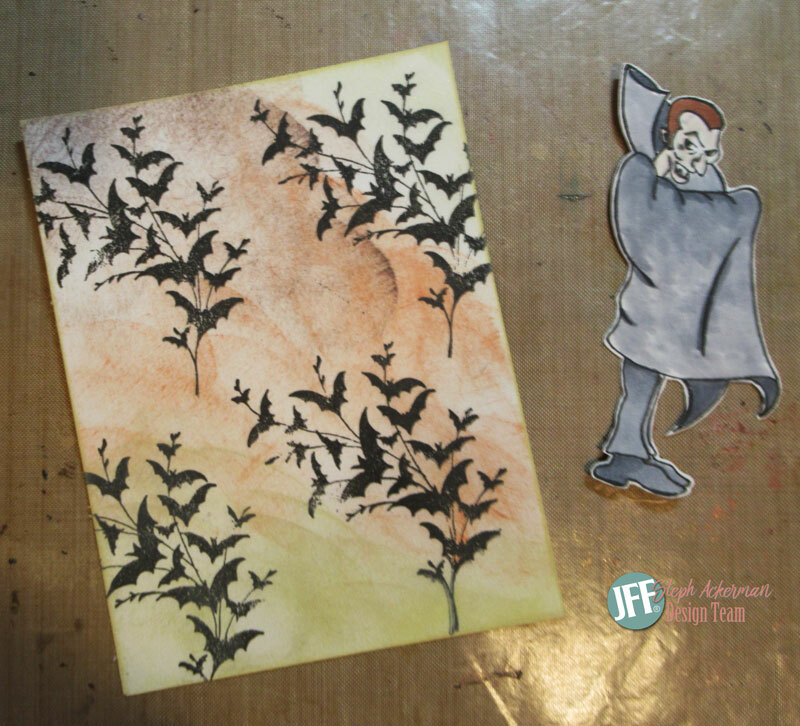 Halloween is right around the corner and I love these new Halloween stamps. 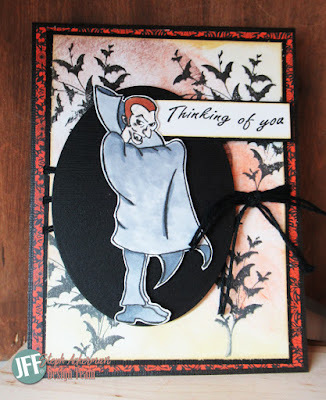 Dracula was stamped with black ink and colored with Copic Markers in shades of gray. Dracula was die cut, matted with a larger die and added to spider web background wrapped with twine. Happy Halloween is from Sentiments 1. 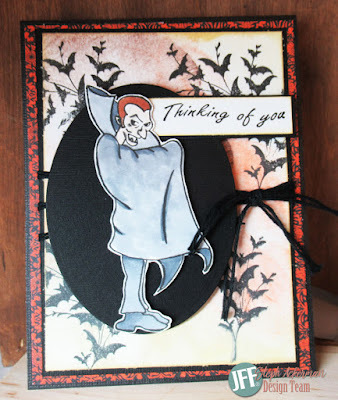 My next card uses 2 of the new stamps - Dracula and bats. I created a background from several colors of ink, then stamped the bats randomly about the panel. Dracula was colored with Copic Markers and fussy cut. 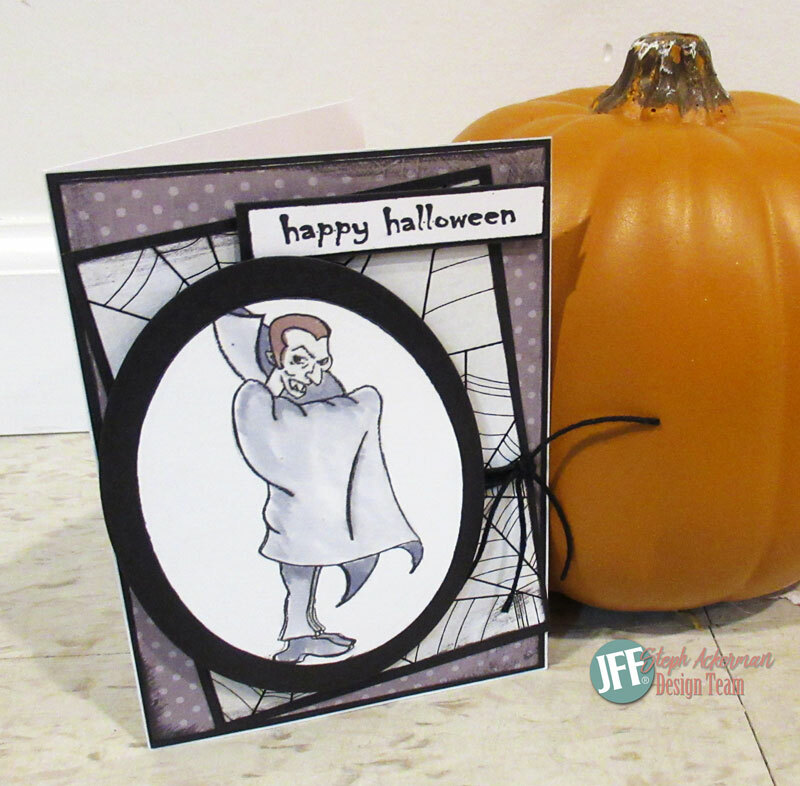 The stamped panel was matted with black, wrapped with twine and added to a card. Dracula was added to a large oval die. 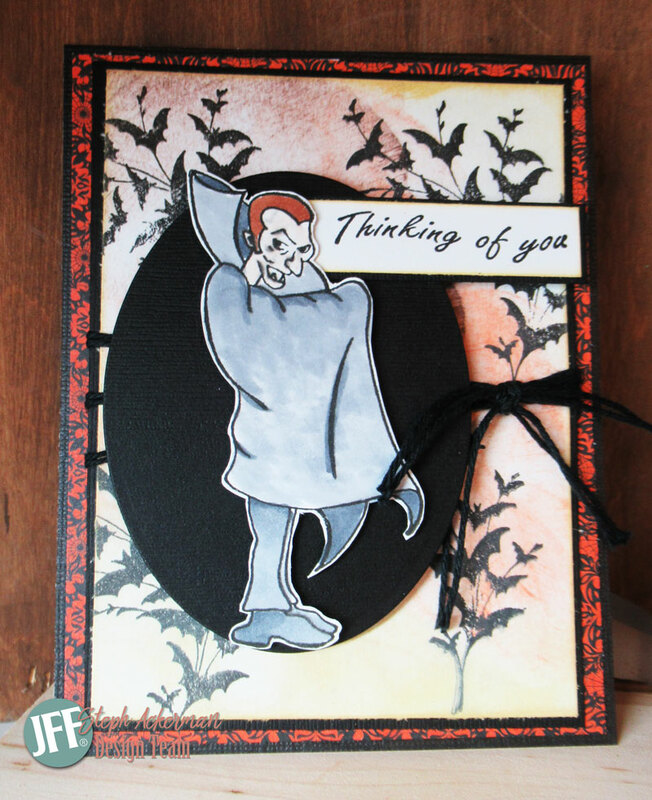 Thinking of You from Sentiments 1 was added slightly behind Dracula. I absolutely love these new stamps. Happy shopping. I just realized those were bats! Haha...I guess I need to move that stamp from my "botanicals" to my "Halloween" section. Love the backgrounds. Steph, your cards are great!